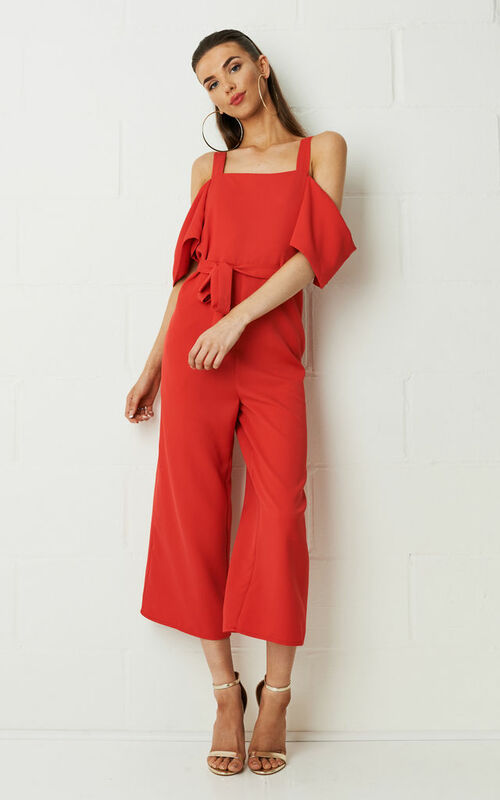 This season it's all about the cropped length and the colour red, so it comes as no surprise that Frontrow delivers on both. 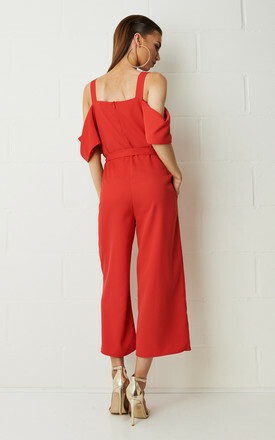 Cut from a smooth cotton blend fabric, this 'Thea' jumpsuit has shoulder-baring sleeves and a self tie waistband. Wear yours with heels or flat sandals.